Simple, natural and oh-so-effective! 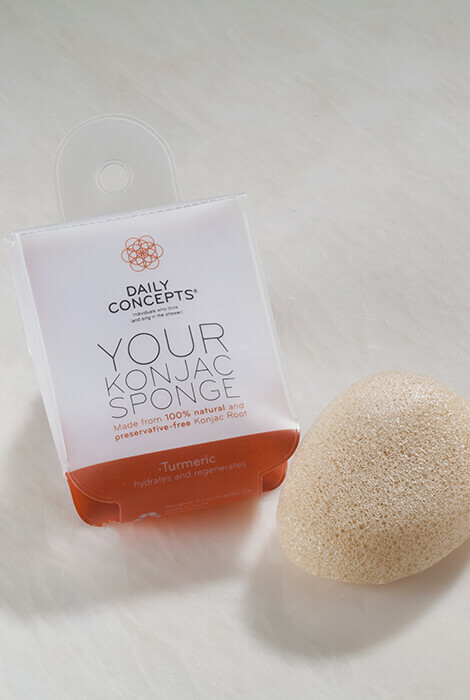 The Konjac sponge is a gentle way to thoroughly cleanse the skin. 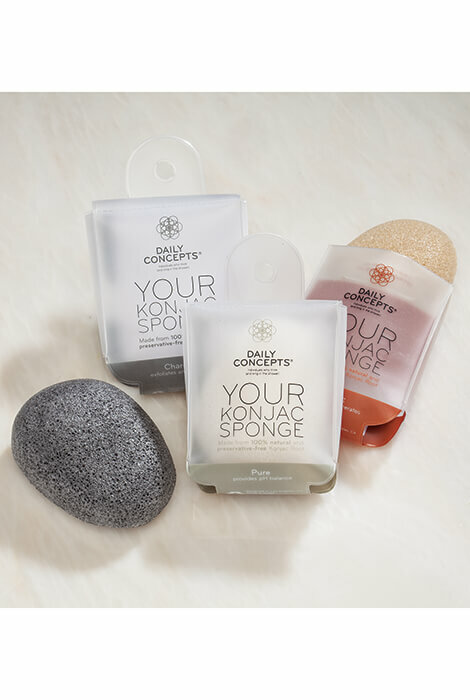 Made from 100% natural konjac root, the sponge is highly absorbent and effective at breaking down skin dirt while helping to balance pH. Three different formulas pamper your skin in different ways. The Charcoal sponge includes bamboo charcoal to help absorb impurities, purifying and deep cleansing skin as it exfoliates and detoxifies. The Turmeric sponge includes real turmeric, known to heal and prevent dry skin. 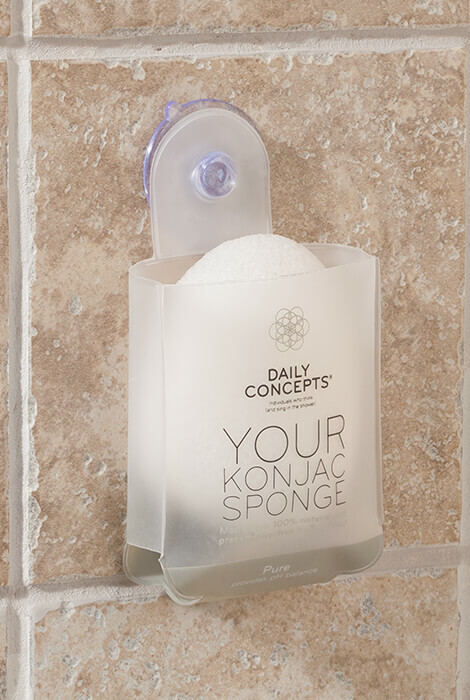 The Pure sponge is clear, cleansing konjac with nothing but water added. All three formulas are soft, gentle and great for deep cleansing all skin types. 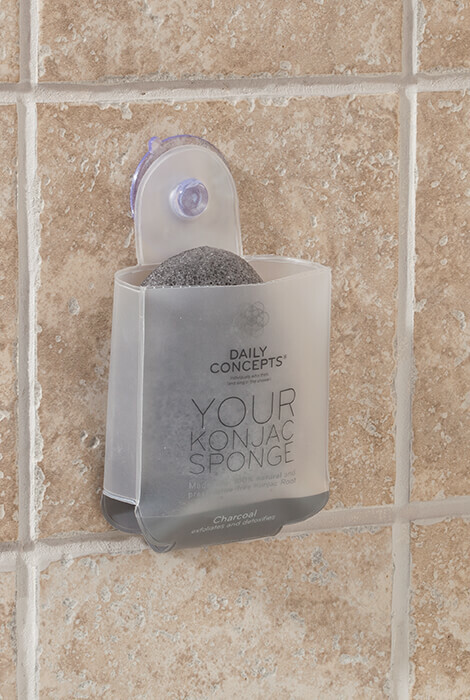 Packaging includes a suction cup, perfect for hanging at the gym, during travel or at home. Cruelty-free, not tested on animals. To use, rinse in warm water before each use. Apply cleanser, if desired, or use sponge alone to gently massage skin in circular motion. Rinse thoroughly after each use, squeeze out water and hang to dry. Use twice daily, recommended morning and night. Replace after 90 days. To use, rinse in warm water before each use. Apply cleanser, if desired, or use sponge alone to gently massage skin in circular motion. Rinse thoroughly after each use, squeeze out water and hang to dry. Use twice daily, recommended morning and night.